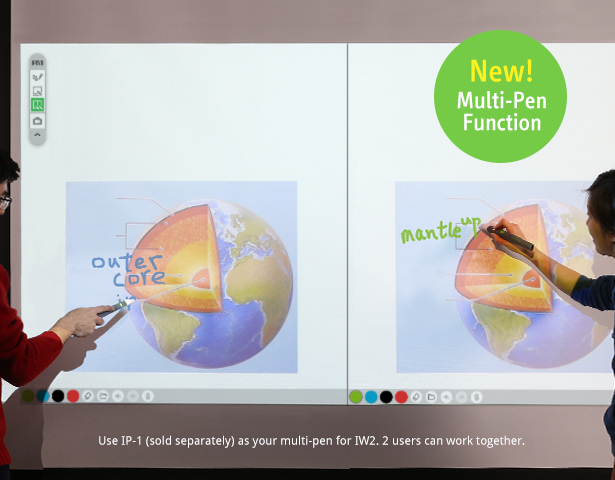 IW2 transforms most any flat surface – including walls and soft projector screens – into an interactive whiteboard for learning and presentations. 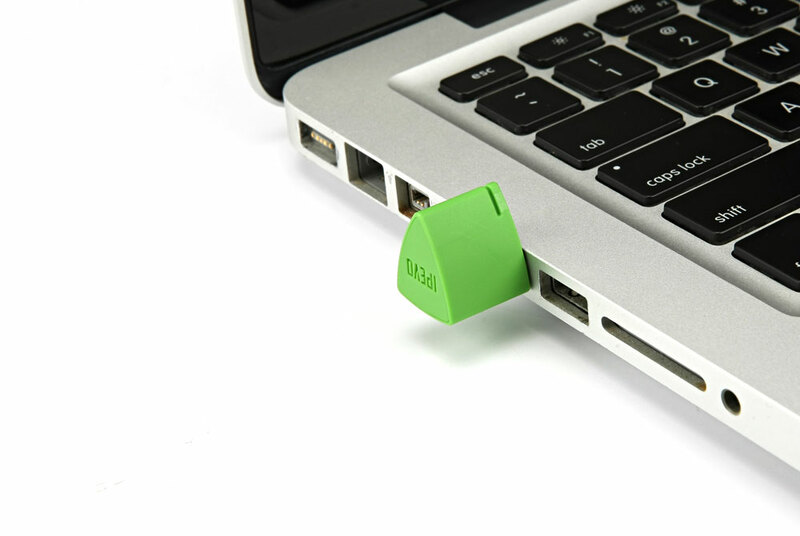 And with the convenience of wireless operation – with no Wi-Fi required! – it offers a dynamic new level of multimedia interaction for lessons and presentations. 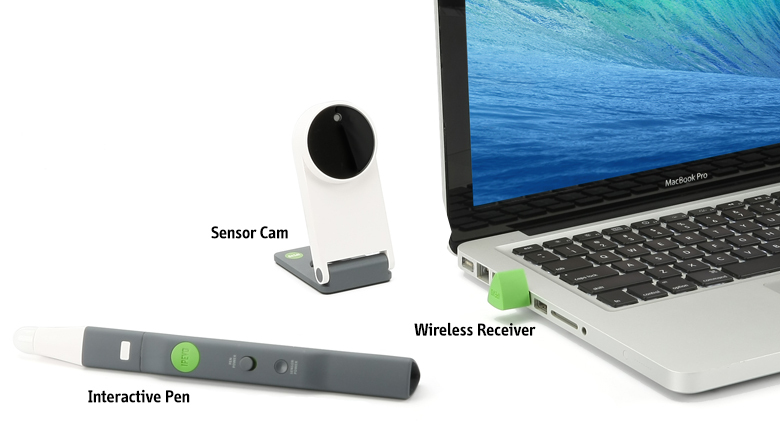 IW2 is made up of three devices: the Interactive Pen, the Sensor Cam, and the Wireless Receiver. The Sensor Cam reads infrared signals emitted by the Pen and sends that information wirelessly to the Receiver, which is plugged into your computer’s USB port. 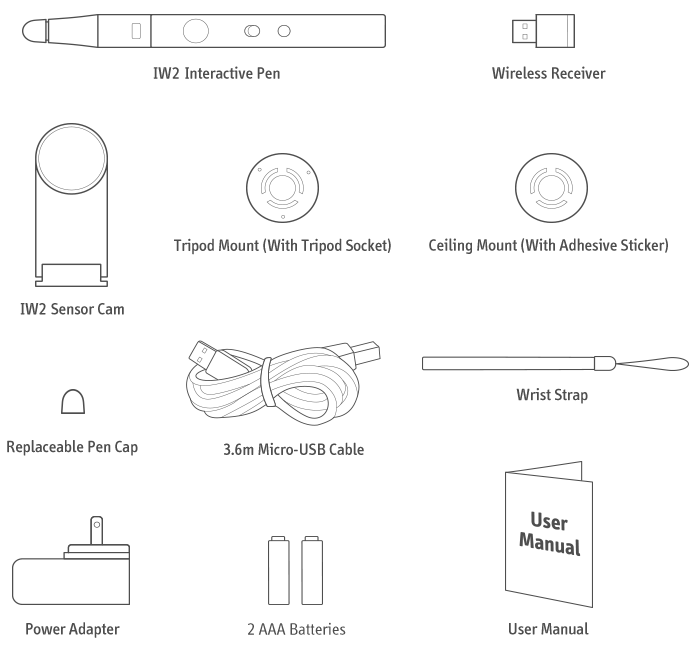 The Pen’s motion – as well as button presses – are translated into cursor movements, mouse clicks, and mouse drags. And because infrared is the same technology used in many wireless mouses, no Wi-Fi is required. IW2 just works! Setup and calibration only take a couple of minutes. Plus, IW2 is ultra-portable and works with a wide variety of projectors – even short-throw and ultra short-throw projectors. 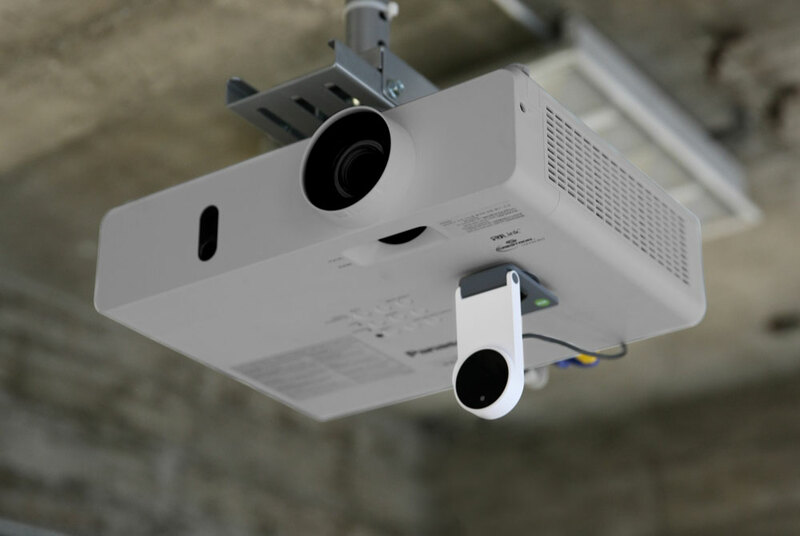 You don't have to worry about throw distance because IW2's Sensor Cam connects wirelessly to your computer, not your projector. Interactive whiteboards have never been this affordable or this easy to use and transport. 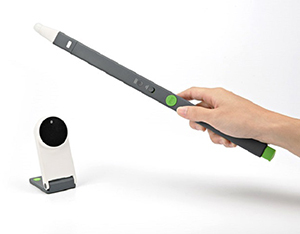 Give your classroom a powerful new teaching tool with IPEVO IW2 Wireless Interactive Whiteboard System. IW2 requires IPEVO IW Driver to function. You can download it here. Computer and projector are not included in the package. You need to have an existing computer and projector in order to use IW2. IW2 is compatible with a variety of software and applications as long as they recognize mouse actions. However, in order to fully utilize your IW2, we recommend using it with IPEVO Annotator. 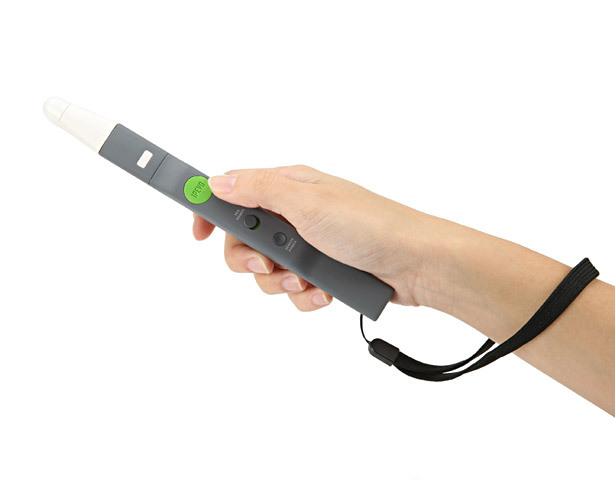 IPEVO Annotator is packed full of annotation tools that allow you to draw and annotate freely on images projected onto the screen. Screenshot, screen recording, and other useful features are also available to further enhance your IW2 experience. Besides IPEVO Annotator, you can also use IW2 with fun and interactive drawing software such as Google AutoDraw or Quick, Draw! to sharpen your drawing skills, or create professional drawings using photo editing software such as Photoshop, GIMP and others. In addition, you can use IW2 to play educational games such as Simple States Lite or abcya.com, or even take your audience on a world trip with Google Earth. *IW2 product page is also available in Portuguese (transl. by Artur Weber) and Lithuanian (transl. by Giedrius Sadauskas). 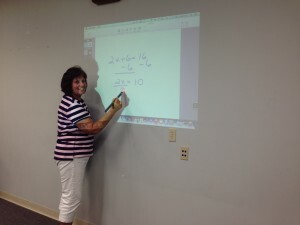 Turn your existing whiteboard/projection screen/most any flat surface into an interactive whiteboard. Multi-pen supported! Up to two users can work simultaneously on the projected whiteboard surface. 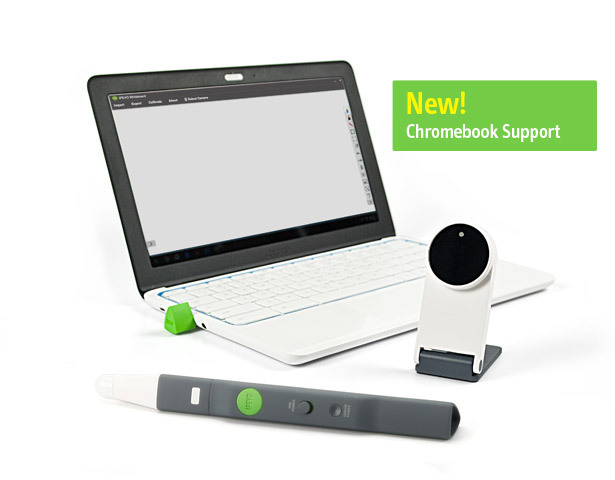 Chromebook support added! Enjoy even more versatility with IW2. Works with all projector types, whether it’s a standard projector, a portable projector, or a short-throw/ultra short-throw projector. Easy setup and calibration; start using IW2 in less than 5 minutes. Control your computer remotely; use the Interactive Pen as a computer cursor. 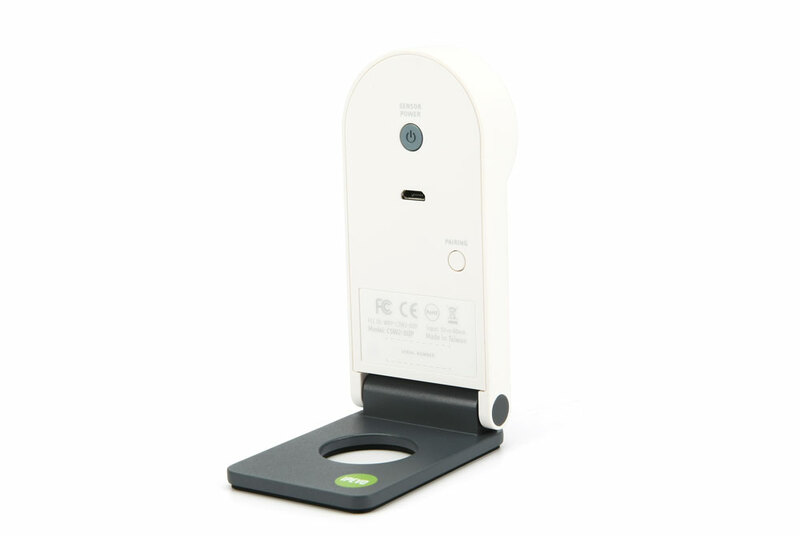 Even more teaching possibilities when you use IW2 with an IPEVO doc cam. Lightweight and portable for teacher or classroom changes. How far can I place my computer away from the Sensor Cam? 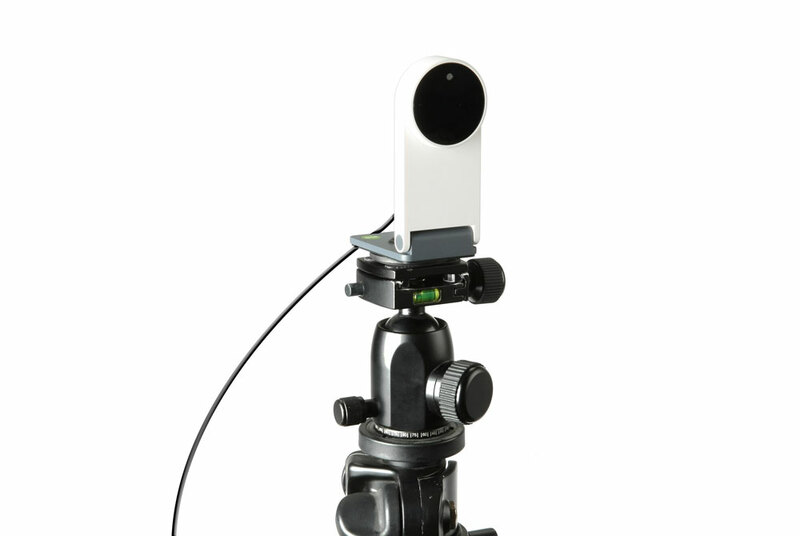 The effective range of communication between the Sensor Cam and the Wireless Receiver is 16 ft (5m). Any distance longer than this will affect IW2’s functionality. Should I get an IW2 or IS-01? It depends on your needs and the particular space you're going to operating in. If you anticipate having issues with connecting a USB cable from your Sensor Cam to your computer, consider the wireless IW2. On the other hand, if you intend to use your device in a complicated wireless environment such as during expos or conventions where a stable connection is your top priority, choose the IS-01. 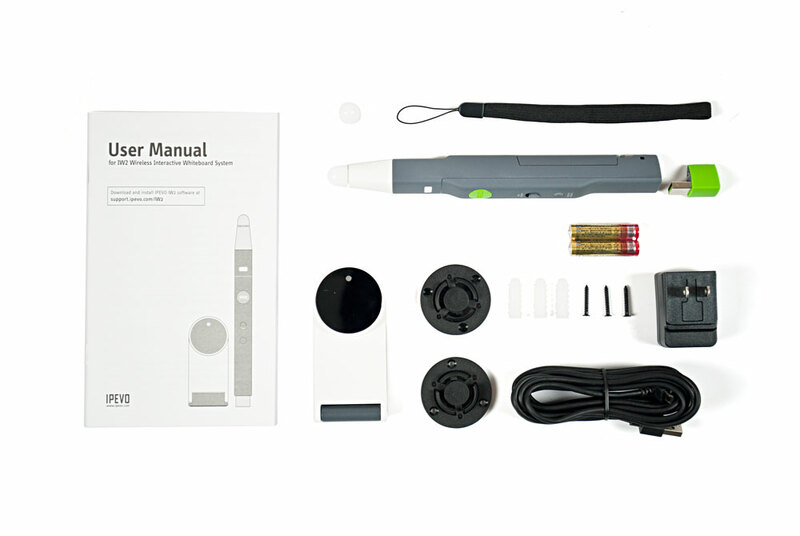 Will the IS-01 Interactive Pen work with the IW2 system? No, it will not as they are working on different Infrared frequencies. Can I use IW2 with a TV or monitor instead of a projector? Some TVs/monitor screens are very delicate and fragile, thus are more prone to scratches and damage. If you choose to tap or swipe on your TV/monitor screen using the Pen, it might damage your TV/monitor screen. Please check with the vendor or the User Manual of your TV/monitor screen to see whether they are safe for use. 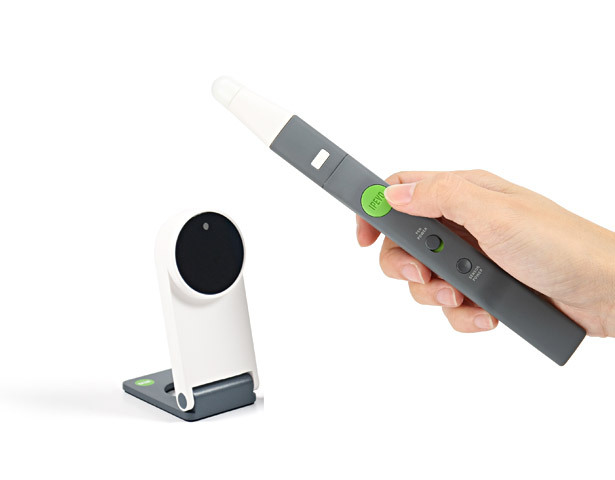 We highly recommend using the IPEVO Button located on the Interactive Pen to perform mouse actions instead of tapping or swiping on your TV/monitor screen with the Pen. If your TV/monitor is not firmly mounted, it might move once you start tapping or swiping, throwing off the calibration. You need to run the calibration process again. Can I use IW2 with a soft projection screen? Yes you can, but please take note of the following while using: Due to the nature of the soft projection screen, tapping or swiping on the screen with the Interactive Pen is not encouraged. 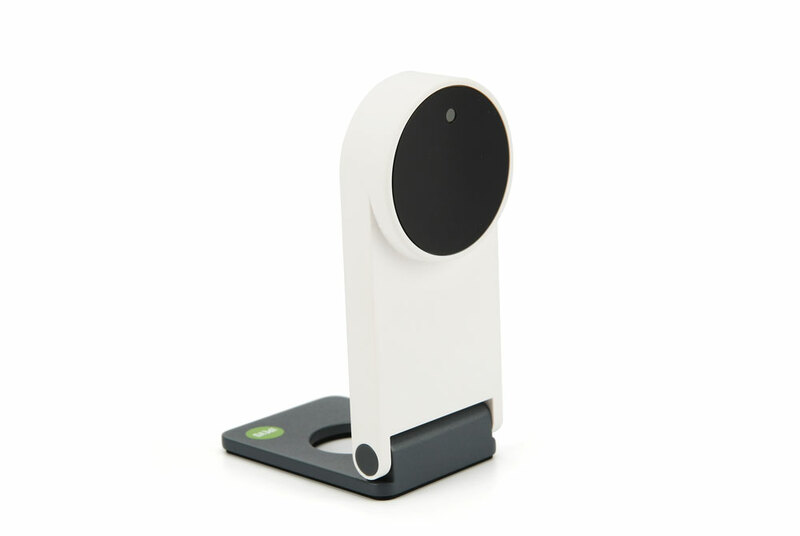 Instead, we highly recommend using the IPEVO Button located on the Pen to perform mouse actions. Re-calibration may also be needed if calibration is accidentally thrown off by the swaying soft screen while in use. Are there any alternative power sources for the Sensor Cam besides using a power outlet? 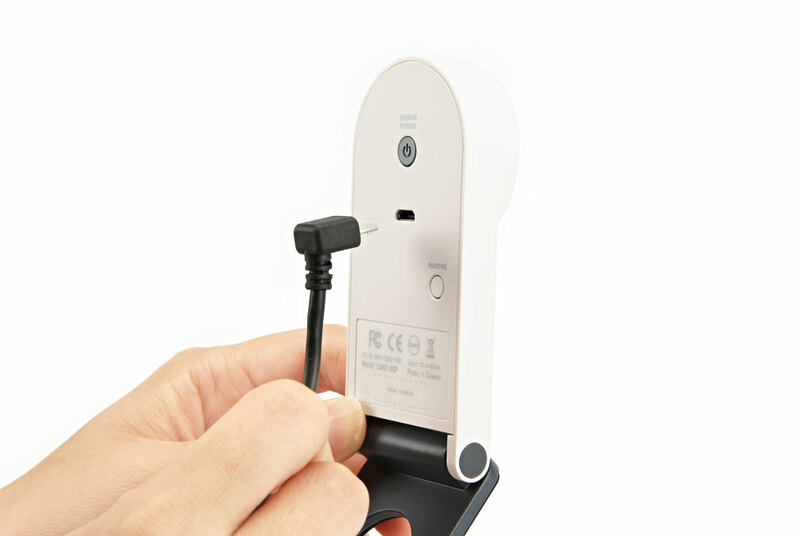 Yes, you can either use a power bank or the built-in standard USB port of your projector to power the Sensor Cam, but do take note of the following: When using a power bank with an auto-shut off feature, the power bank will automatically turn off after a few seconds because the Sensor Cam's low electrical draw "tricks" the power bank into thinking it's not powering anything. What is the minimal distance required between the screen and the Sensor Cam? The minimal distance required from your screen depends on the screen size. As long as the Sensor Cam can cover your whole screen, you are good to go. Please refer to the recommended distances below according to screen size. I have downloaded and installed the latest IW Driver and Annotator software, yet I am still not able to use multiple pens on my IW2. Please check the serial number of your IW2. If the serial number falls between 131514WI00001 ~ 131514WI00100 or 131521WI00001 ~ 131521WI00500, please contact us at cs@ipevo.com for assistance. Can I use IS-01’s Interactive Pen as one of the multiple pens for IW2? No. 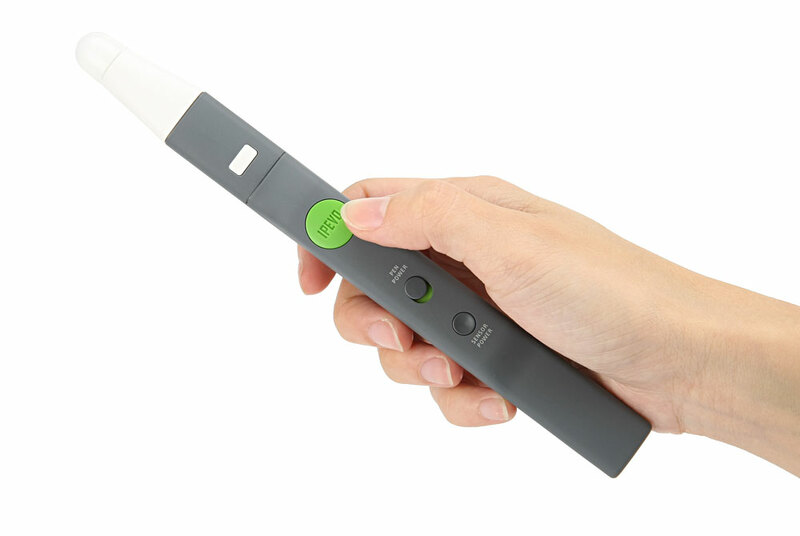 The Interactive Pens of IS-01 and IW2 work on different Infrared frequencies. I have both the old version (long pen) and new version (short pen) of IW2 and accidentally mixed the Wireless Receivers up. How do I know which Wireless Receiver is for which? Do note that the Wireless Receivers (old and new) cannot be used interchangeably. Hence, to sort things out, you’ll need to check the model number of your Sensor Cams and the Wireless Receivers and make sure they match. The model number of the Sensor Cam can be found on the Sensor Cam itself. “CSW2-01IP” denotes an older version, while “CSW2-02IP” denotes a newer version. Next, check the triangular sticker tab of the Wireless Receiver for the model number. 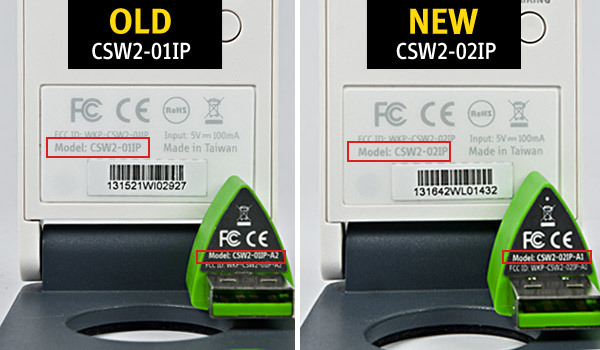 If the model number shows “CSW2-01IP-A2”, it means the Wireless Receiver is for use with the older version of IW2. If the model number shows “CSW2-02IP-A1”, it means it is for use with the newer version. In order for your IW2 to work, please use the old version of IW2 with the old version of Wireless Receiver, and use the new version of IW2 with the new version of Wireless Receiver. Our IW2 Wireless Interactive Whiteboard System complies with the Waste Electrical and Electronic Equipment (WEEE) Directive, and is manufactured, sold and disposed of in a safe and environmentally friendly manner. Have you ever had a hard time making doodles and drawings freehand? This is something a lot of us “artistically challenged” here at IPEVO are all too familiar with. With a sub-$200 price tag, this interactive whiteboard is a fantastic option for schools on a tight budget. 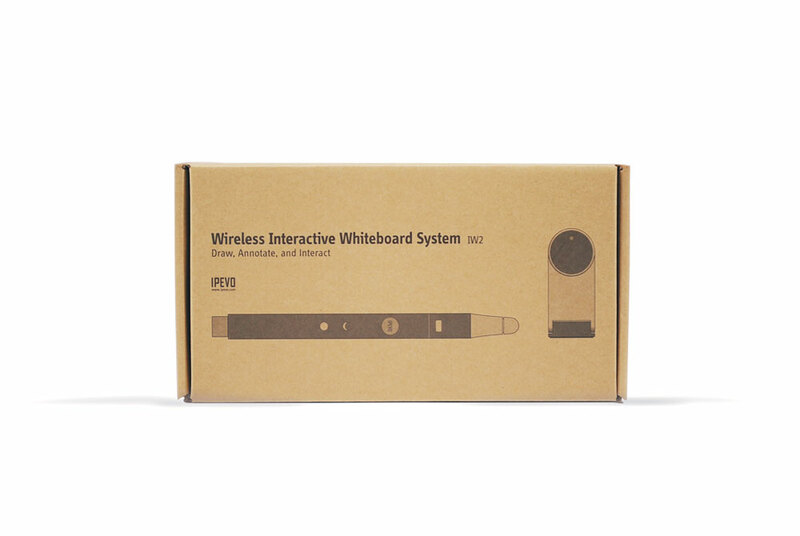 The IW2 wireless interactive whiteboard system has just three components: a pen, wireless receiver and sensor cam.